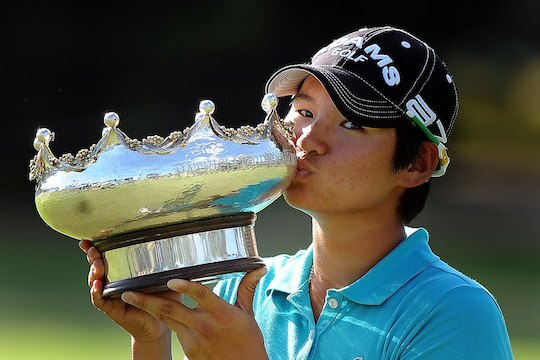 Golf Australia, in conjunction with the LPGA (Ladies Professional Golf Association) and the ALPG (Australian Ladies Professional Golf), has announced that the ISPS Handa Women’s Australian Open will be added to the LPGA Tour schedule beginning in 2012. The 2012 ISPS Handa Women’s Australian Open will take place the week of Feb. 6-12 at Royal Melbourne Golf Club, host of the upcoming 2011 Presidents Cup, beginning a three-week LPGA swing through the Asia-Pacific region that will include stops at the Honda LPGA Thailand and the HSBC Women’s Champions in Singapore. “All credit goes to Golf Australia for their consistent vision to bring the LPGA Tour to Australia,” said LPGA Commissioner Michael Whan. “The combination of spectacular city, top-notch venue, and terrific fans make this event a perfect start to our global spring swing. The 2012 ISPS Handa Women’s Australian Open will be a full field event with players battling for a US$1.1 million purse in a four-day, 72-hole stroke-play competition that will be televised in the U.S. by Golf Channel and in Australia by ABC. In 2013, the event will be hosted by Royal Canberra Golf Club. “Being a part of the LPGA Tour means Melbourne will see a exceptional international field with Golf Australia expecting in excess of 120 international players to compete in Melbourne on the LPGA Tour. Considered the most prestigious golf club in Australia, Royal Melbourne Golf Club is the oldest club in continuous use on the continent dating back to 1891. Royal Melbourne has played host to numerous world class golf events including the Canada Cup, World Cup, Australian Opens, Heineken Classics and two Presidents Cup events including the 1998 edition – the first to be played outside the United States – and the upcoming 2011 edition. “This is a very exciting time in Australian golf and a year of firsts for the championship. We’re looking forward to working with the LPGA on a world-class event on Royal Melbourne’s composite course for the first time,” Pitt added. The 2012 ISPS Handa Women’s Australian Open marks the sixth time the LPGA Tour has played an official event in Australia dating back to 1991. From 1997-2000, the Australian Ladies Masters was co-sanctioned by the LPGA, with LPGA and World Golf Halls of Fame member and Queensland native Karrie Webb winning in 1998, 1999 and 2000. The LPGA most recently co-sanctioned the Lexus Cup, an unofficial team competition, in 2007 where Team Asia defeated Team International at The Vines Resort and Country Club in Perth. “I’m very excited about the announcement of the LPGA returning to Australia with the co-sanctioning of the 2012 ISPS Handa Women’s Australian Open,” said LPGA and World Golf Halls of Fame member and Australian Karrie Webb. As Chairman of ISPS, Mr Haruhisa Handa expressed his excitement about the ISPS Handa Women’s Australian Open partnering with the LPGA. “It is a great opportunity to promote the great game of golf as the best players in the world compete on the iconic Royal Melbourne Golf Course, for the first time ever,” Mr Handa said. Mr Handa said he was delighted that the ISPS Handa Women’s Australian Open continues to grow in importance on the world stage and highlights his support of golf around the world. A priority in his focus is the support for Blind and Disabled golf to be included in the 2016 Paralympics.